I admit it is not easy to create a style guideline for an historic style if the only authentic commercial example is not shipped to the US. Here in Leipzig i can buy a 0,5 liter bottle of Ritterguts-gose in many groceries for 1,20€ or I can get the draft version in many pubs. I am well adapted to this beer as it is one of my basics and I drank the Gose from Bayerischer Bahnhof many times as well. The latter is in my (and not only in my) opinion a well made beer and there is good reason to call it a gose but after studying pretty much of the historic and contemporary literature there is also good reason to call it an intermediate between bavarian Hefeweizen, belgian Wit and leipziger Gose. In other words: You should not create a style guideline based solely on it. When I read the guideline thats what i think has happened. Another difficulty is to write a style guideline on a historic german style when there is no reliable literature even in german. Thats why I try to make some of the original sources accessible. "Moderate to restrained but noticeable sourness, like a squeeze of lemon in iced tea." "The acidity should be balanced, not forward." it is on the maximum side of sourness slightly under Kindl berliner Weisse (hard to beat) or the mores sour lambics. "The salt may be perceived as a very light, clean sea breeze character or just a general freshness, if noticeable at all." "Light to moderate salt character, up to the threshold of taste; the salt should be noticeable (particularly in the initial taste) but not taste overtly salty"
not the whole story as the salt can be very overtly. Coriander is also understated, as it can be very flashy, like a dry hopped aroma. "Historical versions may have been more sour than modern examples due to spontaneous fermentation, and may be blended with syrups as is done with Berliner Weisse." sweetening with sirups is a very modern thing (even with Berliner Weisse) - what is needed is an adapted palate. "Haziness similar to a Weissbier." Draft version is always clear, and there is no reason for shaking up the sediments of a Bottle as well. 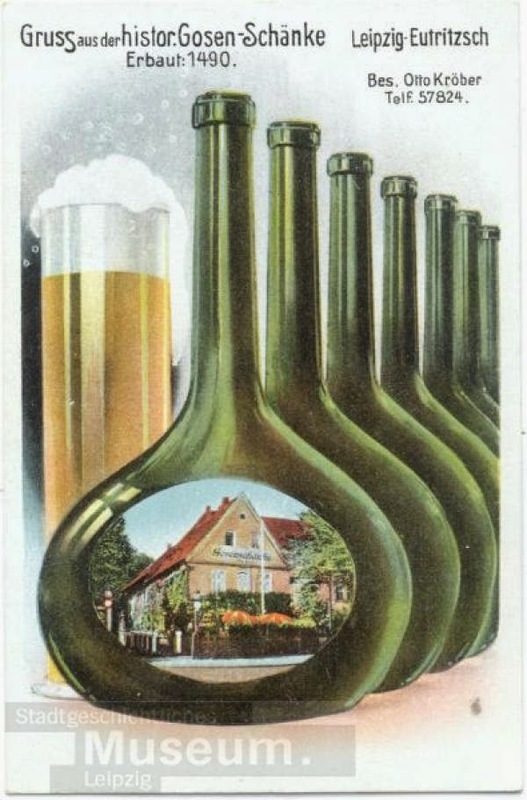 Historic images show clear beer. "They typically contain malted barley and unmalted wheat, with some traditional varieties containing oats." There is no source for unmalted grain neither Oats. Just malted Wheat.